Another “Bingo and Movie Nights” is planned for this summer for cabaña members and residents of Belwood, Surmont and Belgatos on Tuesday, July 3rd will be Wonderwoman. Friday July 20th will be a Bingo AND movie night, with the featured film being Black Panther. There will be one more on Saturday, August 11th – the film is not yet announced. Bring something comfy to sit on – blankets, sleeping bags, lawn chairs etc. Popcorn, cotton candy, and other treats are available for purchase! 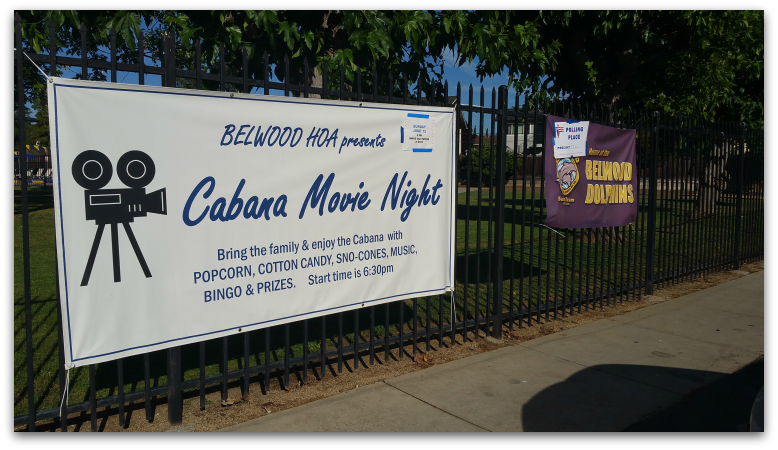 For more information, keep an eye on the Belwood HOA website page for bingo and movie nights.